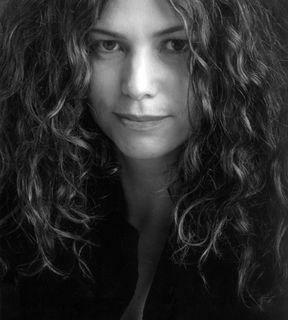 Kate Ladner was born in Adelaide, Australia and studied singing at the Queensland Conservatorium of Music. In 1992–93, Kate was a principal young artist with two major Australian opera companies and in 1994, she won the Australian Opera Trust prize. In 1995, Kate moved to London to begin her European career; performing throughout England, Ireland, Germany and Austria. She continues to be a regular guest artist in Australia. In 1998, Kate made her debut with Staatstheater Stuttgart as Blonde (Die Entfuhrung Aus Dem Serail), a guest ontract which continued into 2004. For this role, Kate was nominated as Best New Artist by Opern Welt Magazine. Kate’s career has been dominated by Mozart’s operas. Highlights include Zerlina for Opera New Zealand in which Kiri Te Kanawa played Donna Elvira; Blonde in Stuttgart; Contessa for Opera Holland Park. Her debut as Susanna for Opera Australia earned her a 'Green Room' Nomination. Her debut at the Sydney Opera House in the role of Donna Anna in 2005 was followed by Vitellia in Clemenza di Tito. Other roles include: Juliette (Romeo et Juliette) for West Australian Opera and the State Opera of South Australia; Manon (Manon) for English Touring Opera; Nanetta (Falstaff), Elvira (L’Italiana in Algeri) for Garsington Opera; Marzelline (Fidelio) for opera Northern Ireland; Vivetta (L’Arlesiana), Lisa (La Sonnambula) for Opera Holland Park; Frasquita (Carmen) Royal Albert Hall, Violetta (La Traviata) for Opera Australia, Sydney, State Opera of South Australia and English Touring Opera; Eleanor of Aquitane (King) for Stephen Barlow’s first opera at Canterbury Cathedral; and Micaela (Carmen) for Graz Oper. Kate has performed in both Australian productions of Wagner’s Ring cycle in 1998 singing Der Waldvogel, Woglinde, and in 2004, Freia, Helmwige and third Norn. This latter production, conducted by Asher Fisch, and released by Melba Recordings, has received exceptional international reviews. Kate’s work on the concert platform is also extensive; touring, including the Barbican, with the Ulster and English Chamber Orchestras with Mozart’s Requiem; classical performances in the Albert Hall and Manchester for Raymond Gubbay; Haydn’s Creation and Camina Burana in Canterbury and Sussex; Messiah for Bach Society of Queensland; Dies Natalis (Finzi) Queensland Symphony Orchestra; Richard Strauss Lieder with West Australian Symphony Orchestra; Liebeslieder Waltzes Op.52 (Brahms) with ‘Team of Pianists’ Melbourne; and operatic aria concerts with The Queensland Orchestra. In 2007, Kate performed Violetta in three different productions, for Opera Australia in the Sydney Opera House; Macedonia Opera, Skopje; and in London for Opera Holland Park. Engagements in Australia in 2008 included Donna Anna and Desdemona (Otello) for Opera Australia. In 2010 she has sung Micaela in an arena production of Carmen in London,and debuts in the title role of Aida for the State Opera of Australia. Kate also gives concerts and recitals in the south of France where she now resides.